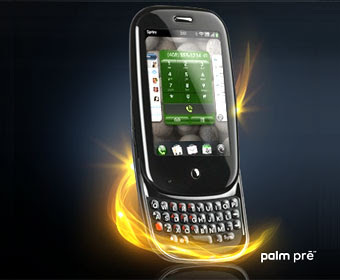 Palm finally introduced its long-awaited next-generation mobile operating system, officially named webOS. According to Palm, the platform unveiled at this year's CES event in conjunction with the first webOS-powered device, a Sprint-exclusive touchscreen smartphone dubbed Pre was developed expressly for mobile use, promising users a constant connection to the web. Jumping on the cloud computing bandwagon, Palm webOS allows consumers to pull their contact, calendars and personal information down from the internet on any device, wirelessly. A bit like what Apple, Nokia, Google and to some degree RIM, are already offering. A key feature of the Palm platform is synchronisation of information between multiple services, so if the same contact is listed in the user's phonebook and on their social networking sites, both contact details are pulled into the same interface. Likewise with multiple conversation platforms such as text message and email. The first device to support the webOS platform is the Pre, which will be available exclusively from Sprint in the first half of 2009. Packing a slide out keyboard and touch screen interface, the Pre will be available with either HSDPA or EVDO connectivity, wifi and GPS. It boasts 8GB of storage and a 3 megapixel camera and probably a handset first in the shape of an inductive charging unit. Palm hasn't yet announced pricing but with such features touted, it will surely bump the cost up significantly. Video courtesy of Phone Arena below though it may be a little too long.